What are Financial Modeling Benefits? 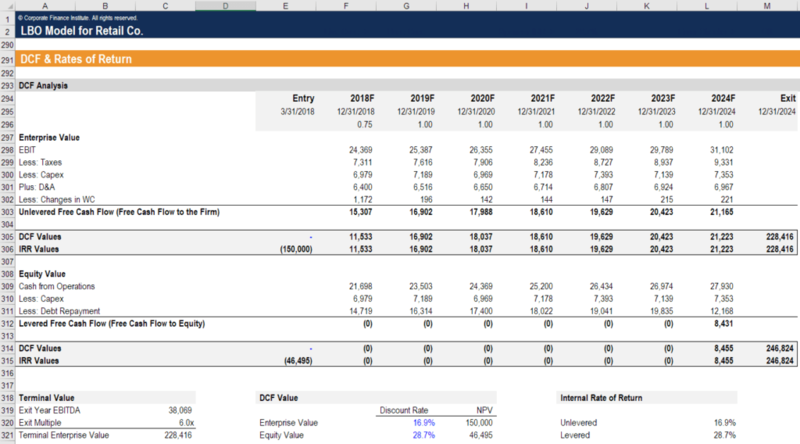 The main benefits of financial modelingWhat is Financial ModelingFinancial modeling is performed in Excel to forecast a company's financial performance. Overview of what is financial modeling, how & why to build a model. A 3 statement model links income statement, balance sheet, and cash flow statement. More advanced types of financial models are built for valuation, plannnig, and are: (1) the ability to forecast and plan a business, (2) the ability to value a business or company, (3) to help raise capitalCapitalCapital is anything that increases one’s ability to generate value. It can be used to increase value across a wide range of categories such as financial, social, physical, intellectual, etc. In business and economics, the two most common types of capital are financial and human. Examples such debt or equity, (4) to analyze mergers, acquisitions, and other corporate development opportunities, (5) to analyze investments such as stocks and bondsBondsBonds are fixed-income securities that are issued by corporations and governments to raise capital. The issuer borrows capital from the bondholder and makes fixed payments to them at a fixed (or variable) interest rate for a specified period. What is an Indenture? An indenture is a binding contract between an issuer, and (6) to better understand how a business works.